St Lucia Prime Minister Allen Chastanet, Mikhail Salcedo, Barbados PM Mia Mottley and Len “Boogsie” Sharpe. 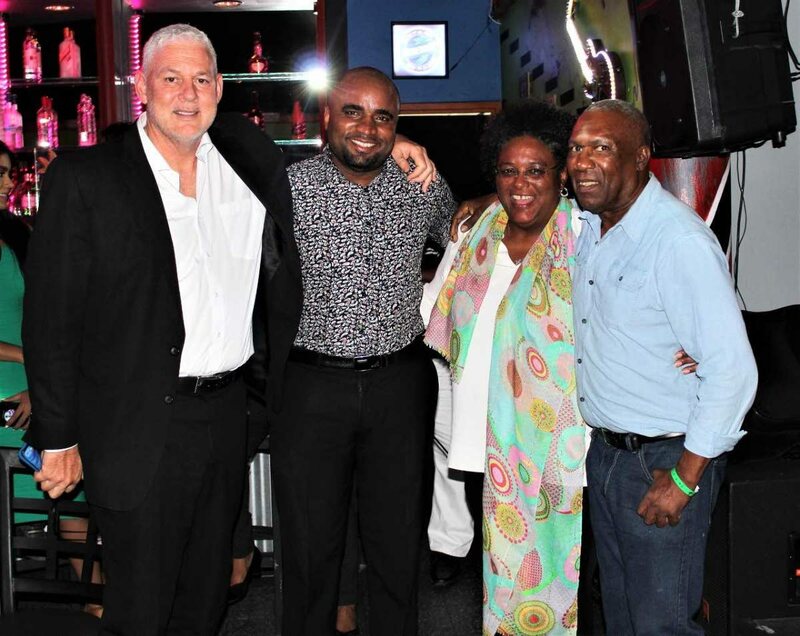 KAISO Blues Cafe on Wrightson Road, Port of Spain, was the venue for a get-together for Prime Minister of Barbados Mia Amour Mottley, after several days of intense debate on the CSME by the leaders of Caricom. The Tuesday evening event was a small unofficial gathering of friends, entertainers and media. Mottley is passionate about the arts and feels that it's a way to unite the Caribbean. She sees change coming through the arts. The guests dancing to pan and kaiso. Although she was late getting to Kaiso Blues Cafe, she kept in touch all the time to let organisers know she was coming to the event. Ambassador David Commissiong spoke on her behalf enlightening the audience of the type of person she is. 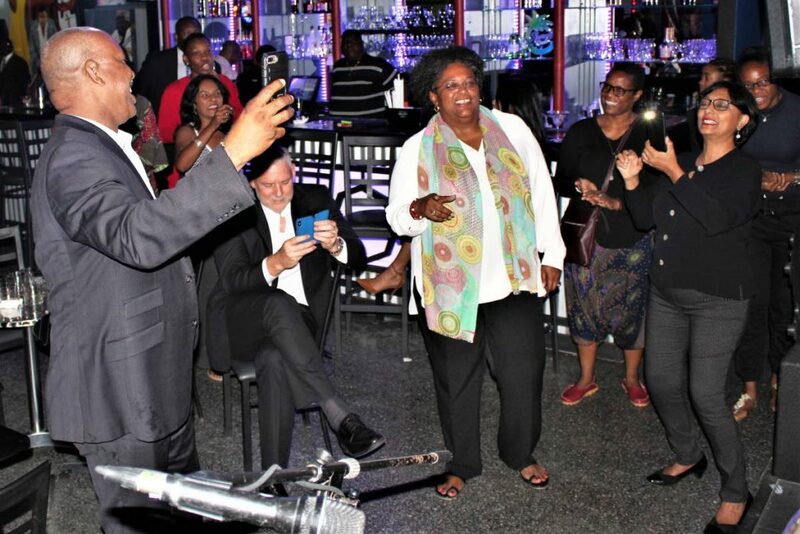 When Mottley did arrive, she brought with her the Prime Minister of St Lucia Allen Chastanet and her Attorney General Dale Marshall. 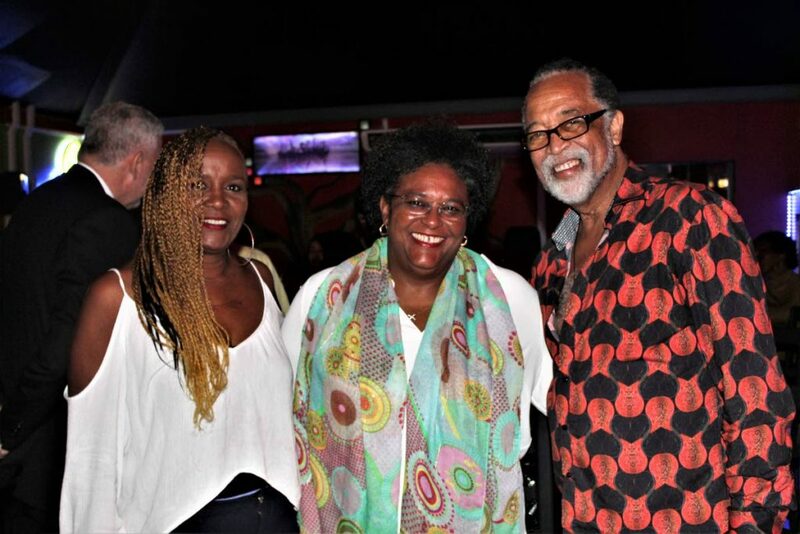 Barbados Prime Minister Mia Mottley poses with her hosts Carl and Carol Jacobs. The visitors were greeted by hosts Carl and Carol Jacobs before they in turn greeted everyone in the cafe. Mottley was warm and welcoming, shaking everyone's hand. Entertainment was provided by Arthur Marcial, Carol Jacobs, Anslem Douglas, Mikhail Salcedo, Snakey and Abebele. Master pannist and arranger Len "Boogsie" Sharpe also dropped in and found himself on stage playing for the visitors. Chastanet and Mottley showed a great appreciation for the pan music as well as Abebele’s extempo. They just could not get enough of the singer who had them singing and dancing with his ole-time kaisos and his instantaneous lyrics. Reply to "Mia, Chastanet enjoy TT kaiso lime"